Welcome to TechNow! The Leader in Information Security Training & Computer Training. The world of information security and computer training is ever changing. The techniques and systems continue to evolve and we must stay current and diligent. To do this, you can count on TechNow®…the leader in cybersecurity training and computer system training. TechNow® has been training the leaders in the computer community for many years. We provide training for students in a number of areas. Our cybersecurity trainings include popular courses like D0D 8140, Complete Hack and Defend and Ethical Hacker. 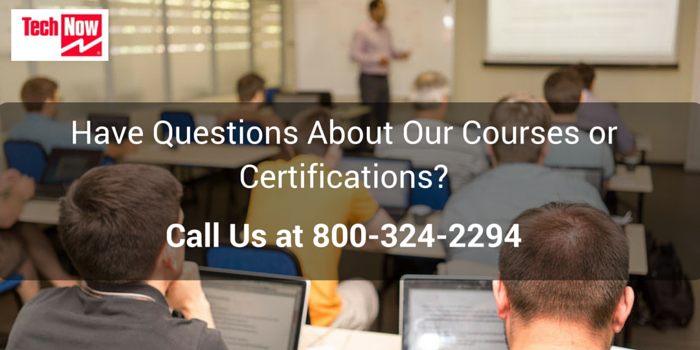 With over 25 years of experience, we’re able to provide you with unmatched training and certification programs. TechNow also provides a variety of other popular trainings for the computer professional including Cisco, Palo Alto Networks, CompTIA, Unix/Linux and more.